Here at Rolling Hills Honda, we take pride in being an Saint Joe, MO Honda dealer, distinguishable from the rest. You'll experience it firsthand when shopping for a new Honda. Our crew of experts working alongside a network of lenders who are happy to find you an options for car financing in Saint Joseph that works for your budget. And no matter whether you're in search of an auto loan in Saint Joseph or seeking out a Honda lease near Dearborn, you'll find your car financing experience painless. Simply take advantage of our online finance application and we'll be sure to reply promptly. 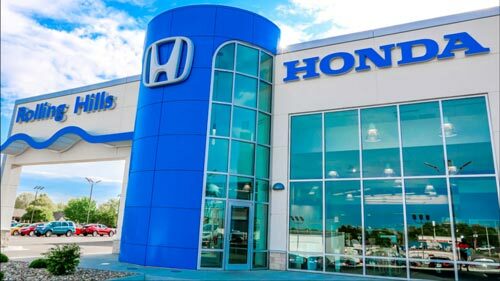 The road to your new Honda or off-brand vehicle can sometimes be difficult with many questions and concerns. Don't worry -- Rolling Hills Honda is here to help. You're welcome to get in touch with us online or by a friendly phone call, and you have an open invitation to stop by our 1705 W Fayette Ave. showroom here in St. Joseph to speak to a specialist about any needs. We look forward to transforming your Honda shopping experience!